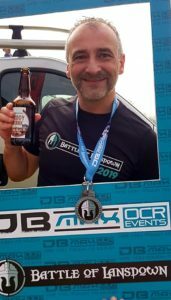 We were delighted that Pete Flaherty took part in the Battle Of Lansdown……..here’s why Pete tackled the 35 obstacles. 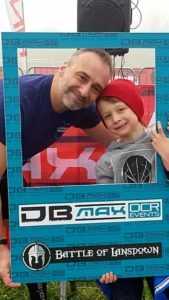 ‘Over the last two years I have witnessed the suffering and passing of both my Nan & Granddad due to this terrible disease. For those that know me, they know that calling them Nan & Granddad doesn’t do them justice, as for most of my life they brought me up. I am extremely grateful for everything they have given me. For taking on the job of being my ‘Mum & Dad‘. As a way of remembering them and saying thank you for all the sacrifices they made, I will be undertaking 12-months of extreme(ish) crazy(ish) challenges. 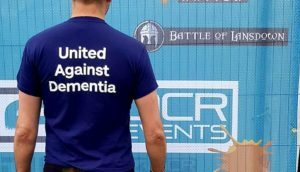 My aim is to raise as much money as possible to help the continued research and treatment of Dementia.